The issue of Islam Nusantara has recently gained new currency in Indonesian discourse after the official rejection by the Council of Indonesian Ulama (MUI) of West Sumatera and Banten of this idea. This currency was further strengthened after President Joko Widodo chose Ma'ruf Amin, the supreme leader (rois ‘am) of the Nahdlatul Ulama (NU) and an active proponent of Islam Nusantara, as his running mate for the 2019 presidential election. Activists and scholars have discussed and debated the meaning of this currently controversial term. In general, as elaborated by Said Aqil Siradj, the chairman of NU, Islam Nusantara is not a new and distinct religion or a new school or stream in Islam and it does not contradict Islamic shari'a. It is instead an interpretation and implementation of Islam that features a harmonious integration between Islamic teachings and local cultures. It takes the substance of Islam and then frames it within the local context. One of the main purposes of introducing and promoting Islam Nusantara is to counteract radicalism and terrorism, which have penetrated some elements of Indonesian society. “Through Islam Nusantara, or ‘Islam of the Archipelago’, Nahdlatul Ulama believes it can offer a counter-narrative to the rigid and violent ideology of the Islamic State of Iraq and the Levant (ISIL)”, said Nadirsyah Hosen, the most brilliant and, at the same time, critical proponent of Islam Nusantara. The statement by Hosen, who also has a position as the chair of the advisory board for the Australia-New Zealand branch of NU, was agreed upon and supported by Indonesian dignitaries, including President Joko Widodo, Minister of Foreign Affairs Retno Marsudi, Minister of Religious Affairs Lukman Hakiem Saifuddin, and Chief of National Police General Tito Karnavian. They all underline the importance of using Islam Nusantara as a cultural and ideological mechanism, the “soft approach”, as stated by Indonesia's senior security minister Luhut Panjaitan, the counterpart of the hard power or direct armed confrontation strategy to counter terrorism and radicalism. Although the government has used a “comprehensive” strategy, combining hard and soft approaches, to undermine radicalism and terrorism, terrorists’ teachings and spirits are still far from dead. The attack on the National Police Mobile Brigade headquarters (Mako Brimob) in Depok on 10 May 2018 and the bombing of three churches in Surabaya, East Java, on 13 May 2018 show that radical Islam and terrorist groups are not defeated yet. • The Indonesian government has tried to defeat terrorist groups and uproot radicalism, both through military and cultural-ideological approaches. The recent attack at Mako Brimob Depok, West Java, and the bombing in Surabaya, East Java, however, have shown that radical Islam and terrorist groups are not defeated yet. • Killing terrorist does not always mean killing terrorism. It could even have the opposite impact, i.e., strengthening and fertilizing the radical ideology. The government, being aware of this, has been supporting Nahdlatul Ulama (NU) in promoting Islam Nusantara, widely believed to be the ideological antidote for radicalism and terrorism. • Proponents of Islam Nusantara believe that radical ideology contradicts the character traits of Islam Nusantara, i.e., peaceful, smiling, tolerant, moderate, and accommodative to culture. Radicalism and intolerance are commonly seen in NU circles as being disseminated by transnational movements such as Hizbut Tahrir and Salafi-Wahhabi groups. Though not terrorist groups, they do teach intolerant and exclusive religiosity which provides a breeding ground for terrorism. • The introduction of Islam Nusantara is further hampered by the attitude of some of its proponents who emphasize its exclusivity by identifying Islam Nusantara only with NU. • Barring its current limits, Islam Nusantara has the potential to become an exceptional form of Islam or a template for tolerant Islam that can be emulated by Muslims in other parts of the world, especially in terms of its ability to accommodate local culture and multiculturalism. • Among Indonesian Muslims, including NU, Islam Nusantara has received varied responses and been met by resistance. The emergence of NU Garis Lurus and the concerted efforts to debunk Islam Nusantara by some preachers are among the forms of activities that seek to undermine Islam Nusantara. The Indonesian government has tried to defeat terrorist groups and uproot radicalism, both through military and cultural-ideological approaches. The recent attack at Mako Brimob Depok, West Java, and the bombing in Surabaya, East Java, however, have shown that radical Islam and terrorist groups are not defeated yet. Killing terrorist does not always mean killing terrorism. It could even have the opposite impact, i.e., strengthening and fertilizing the radical ideology. The government, being aware of this, has been supporting Nahdlatul Ulama (NU) in promoting Islam Nusantara, widely believed to be the ideological antidote for radicalism and terrorism. Proponents of Islam Nusantara believe that radical ideology contradicts the character traits of Islam Nusantara, i.e., peaceful, smiling, tolerant, moderate, and accommodative to culture. Radicalism and intolerance are commonly seen in NU circles as being disseminated by transnational movements such as Hizbut Tahrir and Salafi-Wahhabi groups. Though not terrorist groups, they do teach intolerant and exclusive religiosity which provides a breeding ground for terrorism. 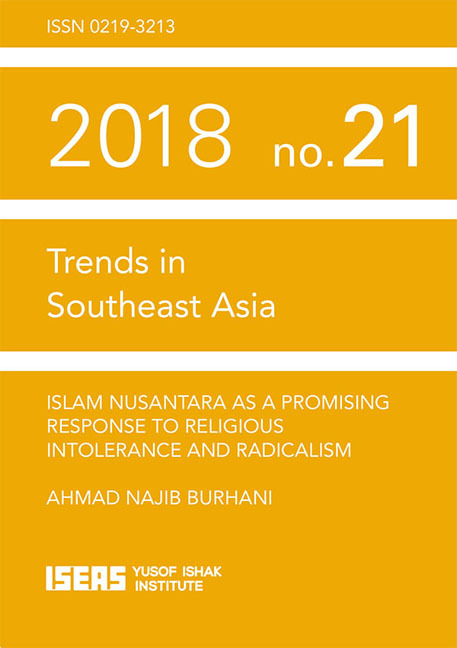 Among Indonesian Muslims, including NU, Islam Nusantara has received varied responses and been met by resistance. The emergence of NU Garis Lurus and the concerted efforts to debunk Islam Nusantara by some preachers are among the forms of activities that seek to undermine Islam Nusantara. The introduction of Islam Nusantara is further hampered by the attitude of some of its proponents who emphasize its exclusivity by identifying Islam Nusantara only with NU. Barring its current limits, Islam Nusantara has the potential to become an exceptional form of Islam or a template for tolerant Islam that can be emulated by Muslims in other parts of the world, especially in terms of its ability to accommodate local culture and multiculturalism. Would the political turmoil in the Middle East deter parents from sending their children to study in Al-Azhar University? Is Al-Azhar education suited for the modern world? Al-Azhar has been the centre for Islamic education in the world since its inception in the tenth century. The university has produced prominent ulama in the Malay world, and some made their mark as the countries’ Islamic intellectuals and thinkers. They have contributed in scholarship, led Islamic bureaucracy, and most importantly, became the voice of conscience to the community. Prominent Al-Azhar graduates from Singapore include the former Mufti, Shaikh Syed Isa Semait and the current Mufti, Dr Muhammad Fatris Bakaram. Some of these Al-Azhar graduates ended up as judges in the Shariah court, but most of them serve in the local mosques and teach in local madrasahs. Al-Azhar remains the popular destination for Singapore religious studies students because of the closeness in terms of religious orientation between Singapore and Egypt, in which both communities largely follow the Shafie school of thought. Even though Saudi Arabia and other Gulf states offer Singapore students lucrative scholarships, and also close proximity to Islam's holiest sites in Mecca and Medina, Al-Azhar remains Singaporean Muslims’ top choice. The other popular destination for students would be Malaysia, but the universities in the country also modelled their curriculum after the Al-Azhar University. Through my conversations with Al-Azhar graduates from different cohorts, I find that there is not much generational divide in terms of experience of students studying in Al-Azhar. Their style of learning continues to emphasize on memorizing, even though, increasingly, there has been more emphasis on critical thinking. Some students complain that they would learn more if they are given more assignments because that would bring them closer to reading materials, where they would have to source for books not assigned by their lecturers. This has been the practice in modern universities. Moreover, classes in the Al-Azhar University are not compulsory for the students, and they need to be motivated and disciplined in order to come to campus, even though the system has penalties for students who skip classes regularly: they will not be able to pass their exams well if they miss classes often, because they are not familiar with the issues raised in class. Initially, it wasn't my personal choice [to study at Al-Azhar]. I wanted to go to a polytechnic, but my parents wanted me to go to the Al-Azhar University and pursue the ukhrawi (religious) field. They wanted this for me since I was in Primary 1. In May 2017, an online British Broadcasting Corporation (BBC) current affairs programme, Heart and Soul, scrutinized the Al-Azhar University's effectiveness in combating Islamic extremism and radicalism. The episode, entitled The Battle for Al-Azhar, questioned whether the mode of learning promoted by the university remains relevant in this modern day and age, especially when some scholars had described its curriculum to be antiquated and unreformed.1 They also asked if the university is doing enough to counter radical ideas promoted by groups such as the Islamic State in Iraq and Syria (ISIS) and Al-Qaeda, given that individuals sympathetic to their struggle also referred to the classical texts taught by the university's professors. Some analysts posited that in tackling violence, Al-Azhar is the problem and not the solution. Yet, the millennium-old Egyptian university remains the most popular destination for Singapore madrasah (Islamic religious schools) students seeking a degree in Islamic studies. Many Singapore Malay-Muslim parents consider the Al-Azhar as the centre of “moderate” Islam. The university is the standard bearer of Sunni Islam, and it teaches the Shafie School of jurisprudence, one of the four Sunni school of jurisprudence that Muslims in the Malay world generally adhere to. In fact, Al-Azhar remains the top choice for Southeast Asian Islamic studies students, even though there are other centres of Islamic learning offering better scholarships, such as the universities in Saudi Arabia, Jordan and Kuwait. The Al-Azhar University is arguably the first university in the world, and it has been the centre of Islamic learning for centuries. Established in the tenth century, Al-Azhar is one of the earliest in the world to issue degrees to its students. Al-Azhar did shape the religious discourse not only in Arabia but also in Southeast Asia. For example, in the early twentieth century, returning students from Cairo brought back reform ideas to Singapore, which was then already a cosmopolitan British town. These returnees inspired the progressive movement in the Malay world, referred to as the Kaum Muda (young camp). The definition of religious authority varies across different faith groups. In Christianity and Catholicism, there is a concept of ordained priesthoods. In Catholicism, the Pope is the highest religious authority, and a symbol of unity among the faithful. His centre of authority is in the Vatican, Rome. While priests and bishops serve as intermediaries between God and man, the same claim cannot be made about the ulama (Islamic religious scholars), though they also fulfil the role as providers of religious guidance on theological matters to the masses. In Islam, religious authority is decentralized; even the religious scholars in Islam's holiest city Mecca (Saudi Arabia) cannot claim to be the central authority of the Islamic world. When Muslims were living under the caliphate system, the Sultan was regarded as a political authority rather than a religious one. Ulama refers to a learned group of men well versed in the Islamic religious sciences, and are moral guardians of faith and the gatekeepers of religion. The Quran, Islam's holiest scripture mentions the term ulama twice. A narration of the Prophet Muhammad referred to the group as waratsatul anbiya or the “heirs” of the Prophet. However, there are Muslims who prefer to treat the ulama as ideal social groups rather than referring to any specific individuals (Norshahril 2015). The ulama as a social group is a product of human construction, and not one that is divinely appointed. Ulama for one community may not be considered as one in another community. This begs the question as to who has legitimacy in the religious community to speak on theological matters. This contestation also exists within the same community, depending on which criteria the group holds. Some communities emphasize on knowledge as the most important marker that differentiates a religious scholar and a layperson, and hence, authority is measured based on the number of books the alim (singular for ulama) has written or the originality of his ideas. Yet, in other communities, a scholar must possess the ability to cure the sick, or in other words, magical powers. The alim must reflect some form of divine inspiration, even though of lesser degree compared to the Prophet Muhammad, who died in AD 632. According to the Islamic belief, the Prophet received divine orders (wahyu) directly from God. In the early twentieth century, Singapore was a hub for intellectual exchanges. Modernist ideas from Egypt, particularly transmitted from the likes of Muhammad Abduh and Rashid Rida, made their way to Southeast Asia via Singapore. One of the key modernist thinkers who was then living in Singapore was Syed Shaikh al-Hadi. Inspired by the modernist movement in Egypt, al-Hadi became active through the magazine al-Imam (the leader), which drew inspiration from the Egyptian al-Manar (the Beacon). Al-Imam promoted ideas critical of the traditional religious establishment. Pieces from al-Manar were also translated into al-Imam, and the slant and angle also followed the Egyptian journal. Al-Hadi travelled widely during his younger days. When he went to perform the haj, he took the opportunity to study under many ulama in Mecca and Egypt, and among those whom he studied under was Abduh. He was particularly interested in Abduh's reformist ideas and wanted to apply them to Singapore's context (Firdaus, Wan Hussein and Mohd Raman 2010, pp. 25–26). Southeast Asian students studying at the Al-Azhar University also grew in numbers by the 1920s. They began to organize themselves based on common language, culture and homeland. In October 1925, Indonesian and Malay students in Cairo established the periodical Seruan Azhar (The Call of Al-Azhar) (Roff 1970). One of those who was active in running the journal was Ahmad’ Atta Allah Suhaimi. His brother, Muhammad Fadhlullah Suhaimi, was also a student at the Al-Azhar University between 1911 and 1916. Muhammad Fadhlullah struggled for women's equal access to education. In 1936, Muhammad Fadhlullah set up a madrasah for girls, called Madrasah Al-Maarif (Firdaus, Wan Hussein and Mohd Raman 2011, pp. 42–43). 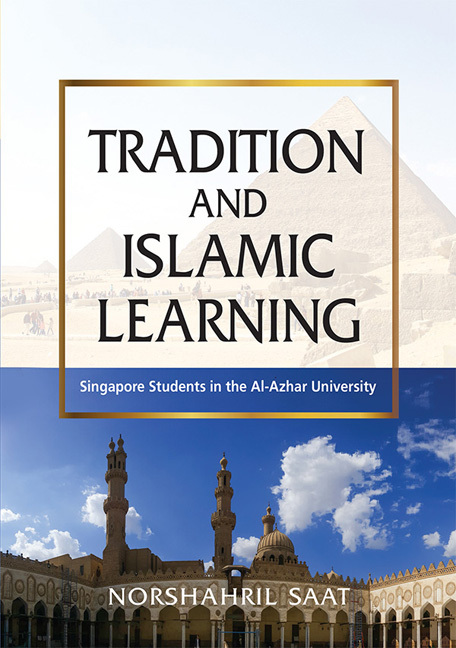 Al-Hadi and Muhammad Fadhlullah are examples showing how the Al-Azhar University impacted the Singapore religious discourse in a positive way in the early twentieth century. By the early twentieth century, Singapore also became the centre for Islamic learning for the region. One school that attracted students pursuing religion is Madrasah Aljunied Al-Islamiah, which was established in 1927. The school attracted students from Brunei and Malaya. For example, Bruneian Mohamad Zain Serudin was a graduate of the school and later became the Mufti of Brunei. The school continues to function as the premier institute of religious learning in Singapore, although Malaysians and Bruneians no longer send their children there. Still, the madrasah prepares most of its students to study at the Al-Azhar University. The Al-Azhar University has significantly impacted Islamic education around the world. The university has been referred to as Qiblatul ‘ilm (The Centre of Knowledge) because it offers a wide range of Islamic studies disciplines besides the study of the Quran and Hadith. The university offers an-nahwu was sorf (Arabic syntax and morphology), Arabic language, mantiq (logic), aqidah (belief), fiqh (jurisprudence), and tassawuf (Sufism). Many Islamic universities or Islamic departments emulate Al-Azhar's curriculum. For example, the Faculty of Shariah of the University of Damascus in Syria follows the teaching methods of the Al-Azhar University. Similarly, universities in Sudan have their Islamic curriculum modelled after the Al-Azhar University. Graduates from Al-Azhar have also been invited to teach in Malaysian universities, particularly in the Islamic departments. These academics also helped kick-start these departments during their formative years (in the 1970s) in order to improve students’ Arabic standards (Abaza 1994, p. 70). Many of the teachers lecturing at the Akademi Islam — today known as Islamic Studies Academy (Akademi Pengajian Islam, or API) — of the University of Malaya are Al-Azhar graduates. Graduates from the Al-Azhar University have headed the Faculties of Shariah (Islamic Law) and Usuluddin (theology) in Malaysian universities. The formation of the Al-Azhar University dated back to more than 1,000 years ago. It was formed during the Fatimid Caliphate (909– 1171), a Shia-leaning government, in 972. The Fatimid Caliphate upheld the Shiite Ismailiyya school of thought. The rulers claimed to be descendants of Prophet Muhammad's daughter, Fatimah. Interestingly, even though the rulers were Shias, Egypt was (and still is) a Sunni-majority country. When the Fatimids conquered Egypt, they did not oppress the Sunnis, and they were allowed to practise their beliefs freely (Dodge 1961, p. 10). Under the Fatimids, Jews, and Copts were also allowed to practise their faith without any oppression (Tignor 2010, p. 154). Al-Azhar was first constructed by a Fatimid general to serve as an “assembly mosque” for the masses. Al-Azhar was also a means to glorify the Caliphate, projecting its power and authority to its rival, mainly the Caliphs in Baghdad (modern-day Iraq) (Dodge 1961, pp. 1–2). Aspiring Southeast Asian religious teachers regard the Al-Azhar University as one of the best Islamic centres of learning in the world. Some of the current students posit that their parents encouraged them to pursue their education at the university. Some were inspired by their local teachers, who are also alumni of the university. Many young religious teachers I spoke to idolized the Al-Azhar University, and quite a number mentioned that it was their childhood dream to study there. Current Singapore Al-Azhar undergraduate, Abdul Malek, mentioned that the very first time he entered one of Al-Azhar's lecture halls, he recalled: “Oh! Syed Isa Semait used to sit here, and so did Dr Fatris Bakaram!”. Abdul Malek felt that his idols used to be students of the university, and many other Singapore Al-Azhar students will follow their trajectory and become religious scholars in Singapore. Others shared having some form of spiritual attachment to the university, claiming that “Al-Azhar is the land that gave birth to many prophets”. All these factors add up to the reasons why many Southeast Asian students, including those from Singapore madrasahs, aspire to study in Al-Azhar. Al-Azhar has produced many ulama in the region, trained in theology, exegesis, jurisprudence, Hadith (narrations by the Prophet Muhammad) and morality from Al-Azhar. Despite graduating from the same institution, the religious outlook of Al-Azhar former students varies from one to another. There is no one “Al-Azhar school of thought” that graduates suggest. When asked what studying in the university entails, the graduates would say: Al-Azhar teaches moderate Islam or wasatiyyah. What the students hope to achieve at Al-Azhar may not necessarily be accomplished. As discussed in Chapter 3, upon returning to their country of origins, Al-Azhar graduates ventured into different fields; most came back as religious teachers, while others joined the bureaucracy, started their own businesses, and went into politics. For those who went into politics, they may even join opposing camps.